It’s that time of year again! No, not time for everything pumpkin spice. It’s time to gear up for the annual archaeological dig at Fort Hunter Mansion and Park, just north of Harrisburg. For the last 11 years, the Section of Archaeology of the State Museum of Pennsylvania has explored the Fort Hunter property in search of remains of the French and Indian War fort that once was located there. We have found many clues to the presence of the fort, including a cannonball, numerous military items, and a possible bake oven; but, not the fort itself. However, we know from research that the fort was in existence for only seven to eight years out of the nearly 300 years of historic occupation of this site and we have uncovered artifacts that tell us much about the other residents of this property. Not to mention the thousands of years of occupation by Native Americans. Many of the TWIPA blog posts have dealt with the various Fort Hunter finds and you can access these by typing Fort Hunter into the “Search” box on the blog page. The 2017 dig season focused on fully uncovering the stone foundation of what we believe to be a smokehouse from the early 1800s and reopening the block excavation behind the kitchen addition of the Mansion house that we investigated in 2016. The foundations of the smokehouse, an octagonal structure in which meats were smoked to preserve them, were carefully excavated to try to determine how it was constructed and to recover any artifacts that might have been associated with it to aid in its interpretation. As the foundation stones were removed, samples of rock and soil in the bottom of the smokehouse were taken to conduct further analyses. Following the mapping and removal of all the stones, this area was backfilled. Come out and see what we find! This is an opportunity to learn about this important historic site and embrace our Commonwealth’s heritage. Artifacts will be on display and archaeologists will be on hand Monday-Friday, 9am-4:30pm (weather permitting) to answer questions about the site and how field archaeology is conducted. In addition to weekdays, excavation will take place on Fort Hunter Day on Sunday, September 16, 2018. Excavations will close for the year on October 5, 2018. Excavations of the foundation revealed clues to its construction, including how the builder’s trench was dug and how the stones were fitted together without mortar to form a strong base for the wooden superstructure. Some stones that were removed even appeared to have been shaped with steel tools so that they fit together better, creating a stronger foundation. The block excavation in the rear of the kitchen addition had been filled in following the 2016 excavations but was reopened last year because of the discovery of some interesting artifacts from the 1700s. Although 2017 excavations in this area did not end up producing much in the way of fort-related artifacts, some exciting finds were made. A ground surface believed to be the original surface during prehistoric time periods was found roughly 2 feet below the current ground level. This surface, called a buried A-horizon (a dark-colored, heavily organic soil), was covered by years of natural and manmade (fill) buildup. This A-horizon yielded several hundred native-made artifacts including pottery, stone weights for fish nets, projectile points (arrowheads), part of a native-made clay pipe stem, and chipping debris from making stone tools. In addition, other aspects of the shape, size, and composition of the side yard were discovered. While this doesn’t sound very exciting, these factors can help the archaeologists reconstruct the landscape over time. For instance, we know that portions of the property along both the Susquehanna River and Fishing Creek were affected by flooding over the years, especially by Hurricane Agnes in 1972. This flooding caused portions of the yard to slump into the river and destroyed some of the small outbuildings. Could it have taken portions of the fort too? We can also see where someone tried to shore up the bank along the creek side of the yard with a fill of rocks, concrete, slag, and garbage at some point and then attempted to shore it up again in later years. The more recent fill layer included a wrapper from a local bread company, foil food packaging, and plastic garbage as well as light bulbs, bricks, painting supplies, linoleum fragments, and even a pair of boots! It was surmised that, following Hurricane Agnes repairs to the house were necessary and when the work was completed, the debris was thrown in the yard along the washed-out bank. Edge of yard above Fishing Creek showing distinct fill layers. Note the upper fill layer of bricks and garbage and the lower layer of concrete, rock, and slag. This year’s excavations begin on September 5 and will again focus on the area of the side yard behind the kitchen addition. We will uncover some of our blocks from 2017 and will expand them south toward the back (south) foundation of the Mansion. This back addition was built in the 1870s during the Boas/Reily family occupation of the house. Based on oral tradition, the house is generally believed to have been built over top of the fort’s blockhouse, so the archaeologists will try to get as close to the house as they can. By doing this, we hope to find remains of the fort or palisade, as well as to determine construction techniques of the house foundation and recover additional artifacts related to both. 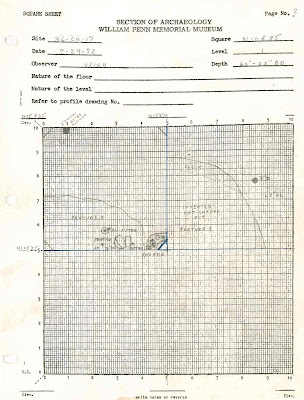 In addition, the Native American occupation level appears to continue south and we hope to recover additional artifacts and discover features related to this occupation. Here we are, summer is ending, school is starting for many across the state of Pennsylvania and our busiest time of year is just beginning. 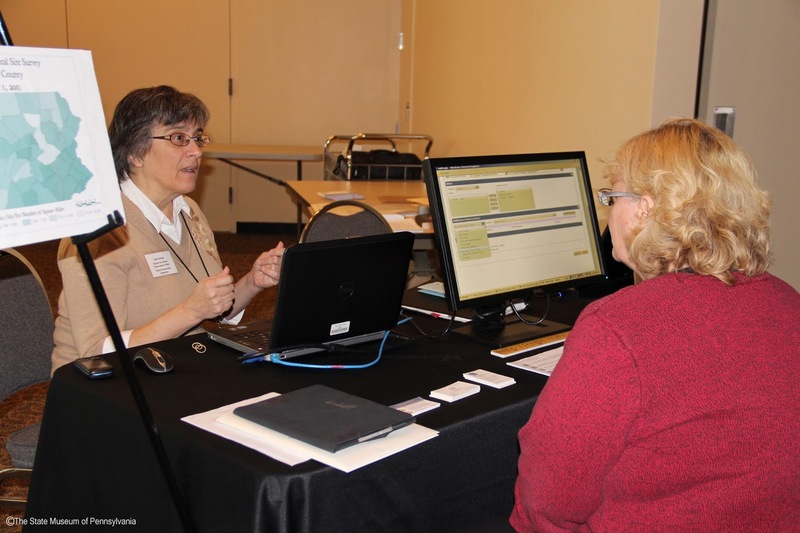 Each year the Section of Archaeology attends and hosts several public programs to spread the word about Pennsylvania’s archaeological history. The kick off public program is Labor Day weekend’s Kipona Festival. Kipona, meaning, “To be upon the sparkling water,” is held each year on City Island, surrounded by the Susquehanna River. Our booth will be located on the west side of the Island, behind the baseball field. 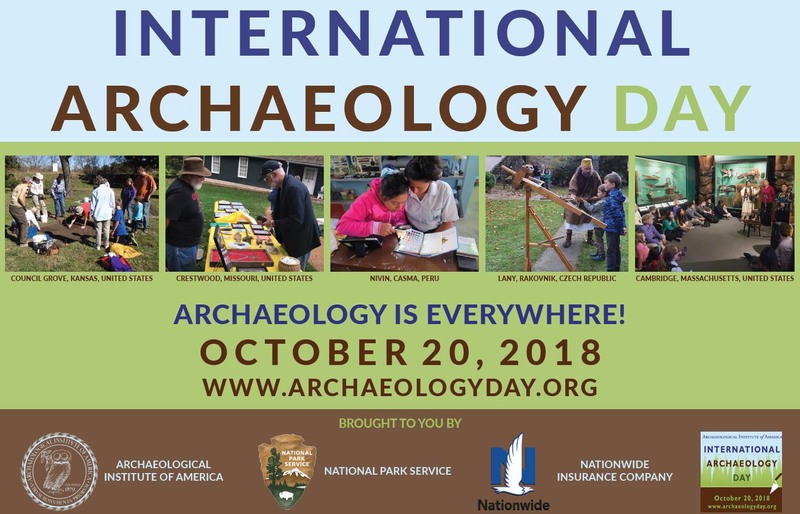 Along with knowledgeable staff and volunteers available to answer questions, our booth will highlight the over 8,000-year-old Native American archaeological record excavated on the Island. Artifacts on display from these excavations include numerous spear points, some of which have been carbon-14 dated along with a cache of 4,000-year-old axe blades and celts. As usual, we will also be exhibiting our ever-popular 20-foot dugout canoe. This replica is based on the real dugout on display in the Archaeology gallery of the State Museum. For those interested in experimental archaeology, the stone tools, called adzes, which we made and used to “dig” out the canoe will be available for examination. Finally, there will be a variety of free brochures with information on hand summarizing the archaeology of Pennsylvania. 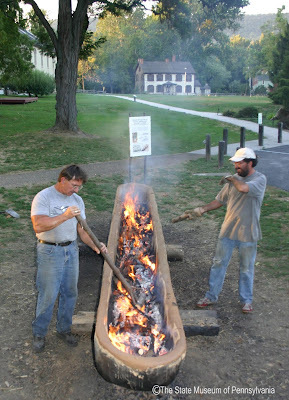 Section of Archaeology staff burning and scraping log to create the dugout canoe. This year we will also be raffling off a chance to win a behind the scenes tour of the State Museum’s Section of Archaeology laboratory! Stop by our booth to take a “ride” in the dugout canoe, marvel at the more than 8,000-year-old artifacts from right beneath our feet on City Island and fill out a raffle ticket for your chance to win! 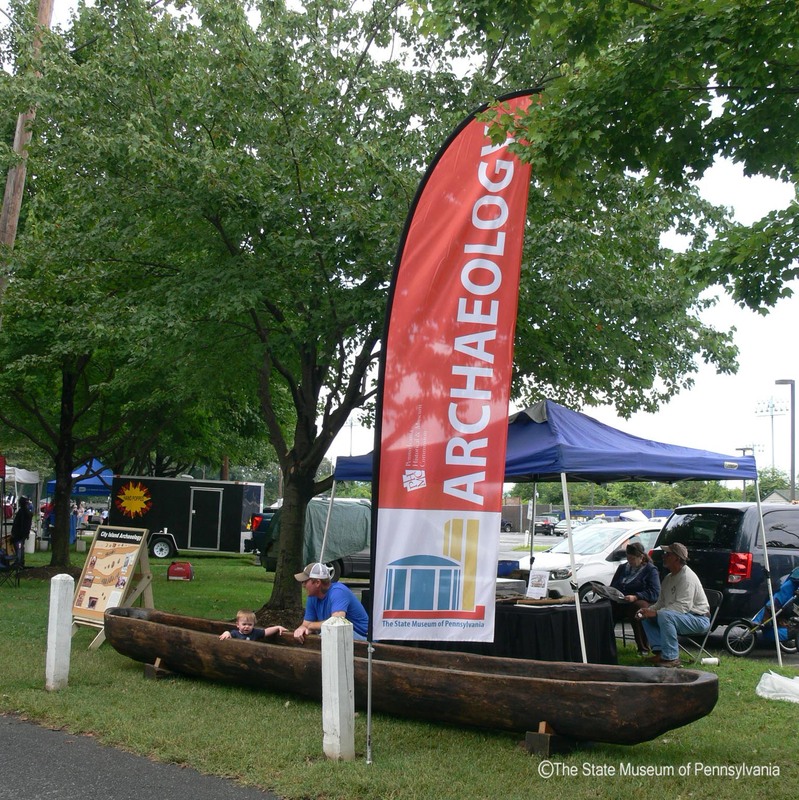 The State Museum of Pennsylvania’s Section of Archaeology booth at Kipona 2017. 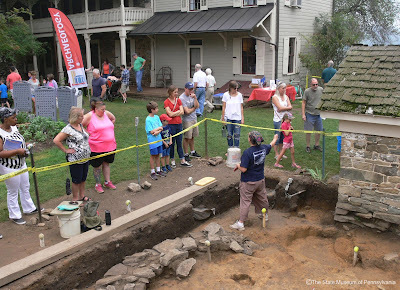 Shortly after the end of Kipona each year, the Section of Archaeology gears up and heads to Fort Hunter Mansion and Park for our month-long excavation. This year we will be heading out to begin setting up and opening our excavation units during the first week of September with true excavations starting the following week on September 10th. As in past years, we will be excavating in the backyard behind the mansion, looking for physical evidence of the French and Indian War period fort that was supposedly built somewhere in what is now the Fort Hunter Mansion and Park. Our excavations are open for the public to visit and to speak with the archaeologists and volunteers about what we have found and what we are looking for. Unless it rains, we will be excavating from 9:00 am to 4:15 pm Monday through Friday until October 5th. We will also be working Sunday, September 16th on Fort Hunter Day. This is an annual fall celebration and craft fair sponsored by the Park. For more information on the Fort Hunter Day visit the Fort Hunter Mansion and Park website calendar of events here: https://forthunter.org/events/fort-hunter-day-3/. Also available at Fort Hunter during Fort Hunter Day and our weekly excavations are brochures and pamphlets on Pennsylvania archaeology as well as the new archaeology month poster and our registration pamphlet for the Section of Archaeology’s annual Workshops in Archaeology. October is archaeology month and as we wrap up our Fort Hunter excavations during the first week in October, we move straight into preparations for our annual Workshops in Archaeology program. 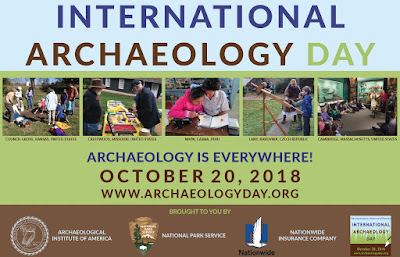 We will be holding the Workshops program, on Saturday October 27, just a few days after International Archaeology Day, October 20, (for more information on International Archaeology Day check out the website at: https://www.archaeological.org/archaeologyday/about). International Archaeology Day Poster, available for download on the website. 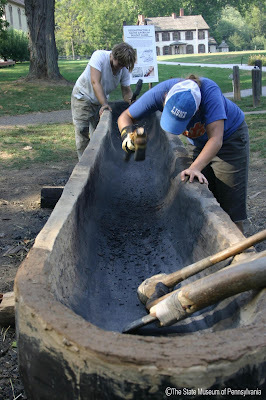 The Workshops in Archaeology is a program designed to provide the public with an overview of archaeological discoveries across the Commonwealth. 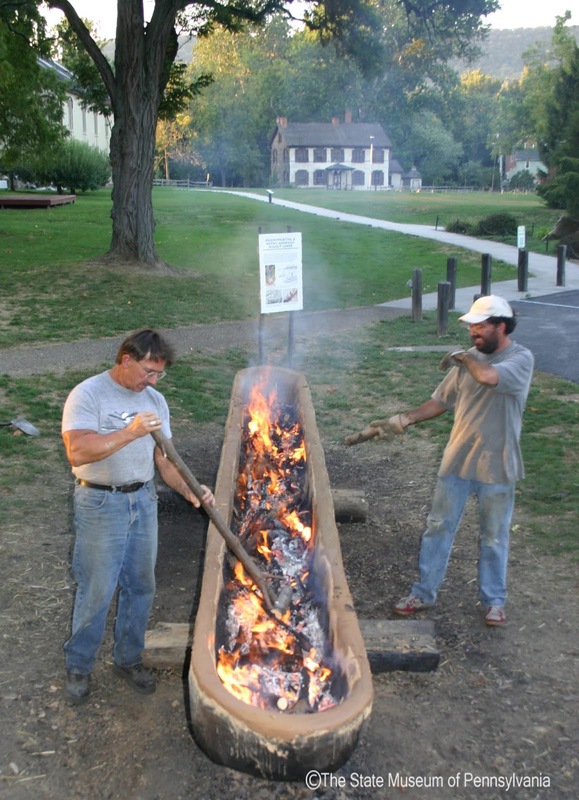 This year’s theme is John Smith’s Susquehannock’s: The Archaeological Context of a Native Culture and encompasses presentations from experts in the field, an ongoing flint knapping demonstration by master flint knapper Steve Nissly, and artifact identification and site recordation by the State Historic Preservation Office staff. SHPO staff member educating Workshops participant in recording sites. For more than 200 years, between 1550 and 1763, much of the Susquehanna River Valley was home to the Susquehannock Indian Tribe. This was a matrilineal society, different from many Indian societies, tracing kinship through the female line. They were dependent on maize agriculture, along with other domesticated foods, wild plants and animals. They lived in some of the largest Indian towns in Pennsylvania, containing one thousand or more people. Their impact on the Colonial period America was far-reaching, especially in the fur trade during the 1600s. Capt. John Smith, founding father of the English colony at Jamestown, Virginia, was the first European to describe the Susquehannocks in detail. During his exploration of the Chesapeake Bay in 1608, he stopped at the mouth of the Susquehanna River, where he made contact with sixty Susquehannocks and stated that they “are the strangest people of all those countries, both in language and attire.” At the height of the fur trade during the mid-1600s, competition with Iroquoian groups, namely the Seneca and Mohawk, led to upheaval and discord. By the late 1600s, conflict between these Indian tribes, as well as with Europeans, led to the Susquehannocks dispersal and eventual disappearance from the Susquehanna Valley in the late 1700s. The story of the rise and fall of the Susquehannocks was the fate of many Indian tribes in the eastern United States. We welcome archaeology and history enthusiasts to this informative program that will provide insights into this fascinating period in our nation’s history. Admission to The State Museum of Pennsylvania is included with registration. 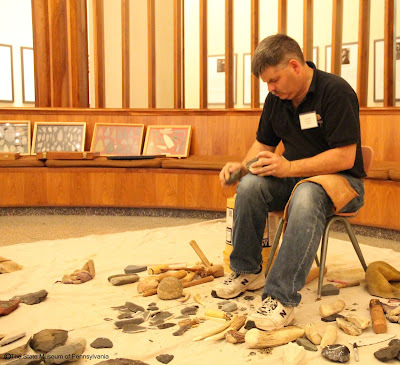 Flint knapping demonstration by Steve Nissly at 2013 Workshops in Archaeology. So come out and join us this fall to celebrate the rich archaeological heritage from all around us. 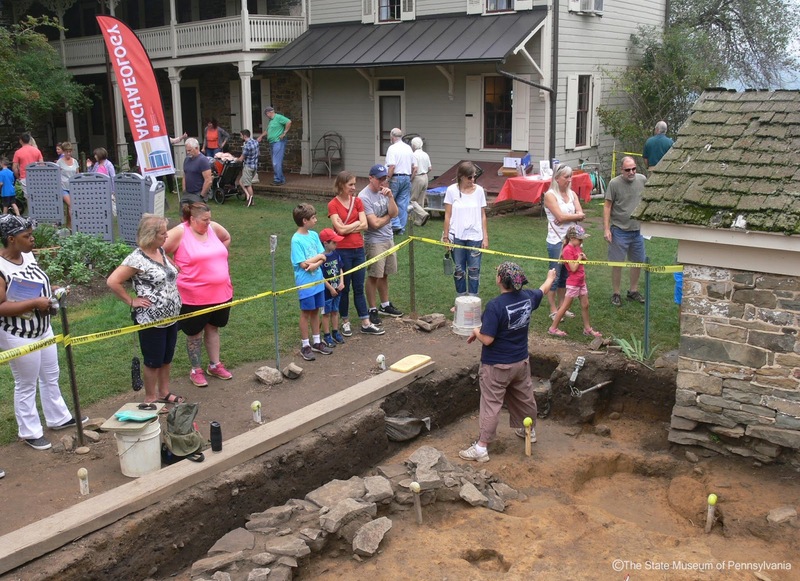 We look forward to seeing you at one of our informative programs: the Kipona Festival, our excavations at Fort Hunter and the Workshops in Archaeology where you can learn more about how you can help preserve our past for the future. About this time in August of 2017, we highlighted the Robert and Jim Oshnock Collections from Western Pennsylvania. This year the lab is concurrently processing another donation from the Western region of the Commonwealth, the William Fredrick Veigh Collection. With continued gratitude to Bob Oshnock, Brian Fritz and other Society for Pennsylvania Archaeology (SPA) members who assisted in preparing this substantial collection for transport and donation, we are celebrating the completion of the preliminary box inventory earlier this summer. We take this opportunity to honor Fred Veigh’s contribution to Pennsylvania archaeology and The State Museum as we begin the task of cataloging and inventorying the artifact assemblage. Fred Veigh (December 29, 1949-January 25, 2016) was a prolific archaeological collector and surveyor, and an active member of the SPA for most of his adult life. 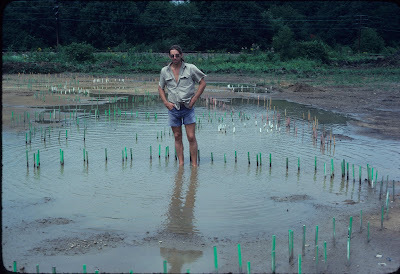 Receiving his education and training in archaeology at the University of Pittsburgh facilitated Fred’s participation as a field crewmember on Pennsylvania Historical and Museum Commission (PHMC) investigations in the 1970s, and as an independent Field Associate in Anthropology of the Carnegie Museum in subsequent years. 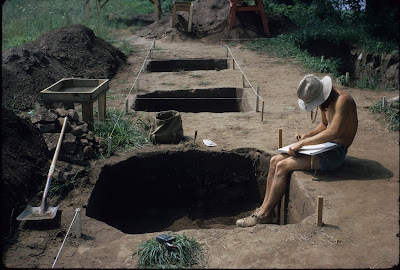 Fred authored and co-authored numerous articles in the Somerset County Archaeological Society (SCAS) SPA Chapter quarterly newsletter while serving as its secretary, and continued as a member of the Westmoreland Chapter in his later years. Mr. Veigh meticulously labeled his artifacts and thousands of artifact boxes, containers and bags with topographical site information and a number designation system he developed to keep track of each surface collected location by county. Throughout his life, he participated and consulted on local and international excavations in addition to countless avocational hours spent surface hunting and documenting archaeological sites. Due to the sheer number of individual sites and collection areas in this 258 box and 31 Riker Mount donation, it has taken several months with the assistance of our energetic volunteers to identify how many locations the collection contains. 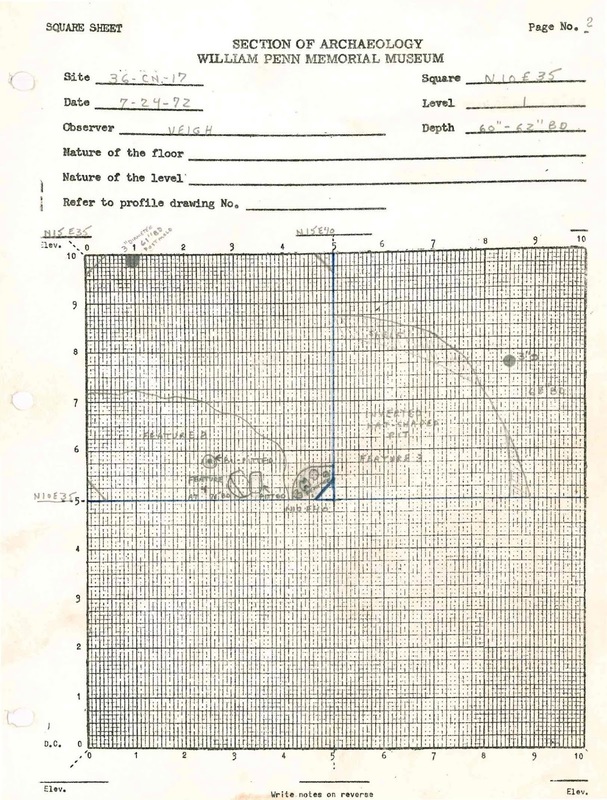 We can now report that Mr. Veigh’s donation represents prehistoric and historic artifacts from over 250 sites recorded in the Pennsylvania Archaeological Site Survey files and an additional 1,867 loci, the majority of which he documented on topographic maps. From these maps, we have begun the process of matching his unrecorded finds with pre-existing sites in CRGIS, and are recording new sites when possible. It is highly likely that the Veigh Collection will contain around 2,000 previously recorded and newly recorded archaeological sites after laboratory processing is completed. This is an astounding accomplishment for an individual and testament to Mr. Veigh’s passion for preserving our shared cultural history. The majority of the donation derives from Somerset, Washington, and Westmoreland Counties. 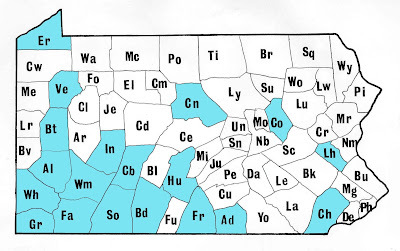 Also present in the collection are minor assemblages from surface hunted sites in Adams, Allegheny, Bedford, Butler, Cambria, Chester, Clinton, Columbia, Erie, Fayette, Franklin, Greene, Huntingdon, Indiana, Lehigh, and Venango Counties. So far, we have focused on processing recorded sites with large artifact assemblages containing diagnostic prehistoric or historic artifacts. The McCoy Pottery site (36So56) is a rare example of rural commercial ceramic production during the Civil War Era. Hiriam D. McCoy owned and operated the pottery from the 1850s to 1870s. The McCoy site and colorful life of its proprietor—a self-taught man with only nine months of formal education, pottery craftsman and entrepreneur, civil war veteran, eventual hotel owner and elected judge (King, 1986)—will make an interesting subject for a future blog. Mr. Veigh participated in the 1975-1976 SCAS excavations at the pottery and later retained the collection for the chapter. 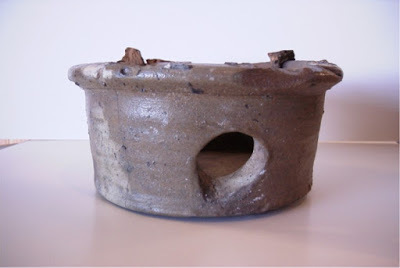 It contains numerous examples of kiln furniture, saggers and examples of jars, crocks and bowls made with locally derived clays in addition to stoneware production of similar vessel forms. Pictured below, one of the few complete saggers recovered during SCAS investigations is on exhibit at the Somerset County Historical Society (Hoffman, 1976, reprint 2000). Sagger vessels, like kiln furniture are products created and consumed during the firing process to properly space and stabilize a variety of ceramic forms, and ensure an even glaze and easy extraction after the kiln has cooled. Sagger forms can vary depending on the potter’s preference and type of finished vessel it is designed to support, but often has a similar appearance to ceramic spittoons with side vent holes for proper air circulation during firing. Fred was a member of the field crew during the 1972 PHMC excavations at the Nash site (36Cn17) on the West Branch of the Susquehanna River, and surface hunted during his breaks and down time. The Nash site is multi-component late Middle Woodland to early Late Woodland village, with occupational phases from the Clemson Island, Shenks Ferry and McFate/Quiggle cultures. The PHMC investigated the site as part of the Susquehanna River Archaeology Survey to define the Clemsons Island culture in eastern Pennsylvania (Smith, 1977; Smith and Herbstritt, n.d). Jim Herbstritt, Section of Archaeology staff archaeologist, also revisited Nash between the years of 2000 to 2004. The prehistoric pottery assemblage from Mr. Veigh’s surface finds reflects the presence of all three cultural groups at 36Cn17 and compliments the research he helped to conduct with the PHMC and the later work of Mr. Herbstritt. The Veigh collection is significant not only for the volume of artifacts and breadth of documented geographic distribution, but also for the types of artifacts Mr. Veigh collected. Many surface hunters bias their collection strategies toward complete tools and diagnostic projectile points. Fred was also meticulous about collecting and retaining non-diagnostic chipping debris (the waste material from making formal stone tools), prehistoric and historic pottery sherds and other small artifacts—evidence of human activity usually disregarded or discarded by the casual collector. In addition to the Nash site, we have inventoried a whopping 25,092 pieces of chipping debris from only a handful of processed prehistoric sites from the Veigh colleciton. Varieties of chert present include locally derived Shriver, Uniontown, Brush Creek, Monongahela, and Ten Mile as well as out-of-state sourced chert, such as Onondaga (NY), Flint Ridge (OH) and Upper Mercer (OH). South Mountain Metarhyolite is also a common source material in the Somerset County sites and likely was transported or traded along Nemacolin’s and the Turkeyfoot Paths, Indian trails that crossed through this territory between Maryland, eastern Pennsylvania and the western part of the state (Means, 2013). In that sense, the Veigh collection, demonstrates the value of well-documented surface collections and provides a relatively accurate depiction of the type and variety of lithic sources utilized in prehistoric activities over much of southwestern Pennsylvania. If you are interested in learning more about the Veigh Collection and other current projects in the Archaeology Laboratory, please join us in The State Museum Nature Lab next Thursday, August 9th at 11:30 am. Our laboratory managers, Andrea Carr and Callista Holmes will be on hand to demonstrate laboratory methods and answer questions about how we preserve our past for the future through artifact conservation and documentation. It was the purpose of this post to honor the life Fred Veigh and his enormous contribution to archaeology. We would like to close by saying it is our honor to work with collections like the Oshnock brothers and Mr. Veigh—the collections of individuals whom have dedicated much of their lives to preserving the archaeological heritage of Pennsylvania for all through documenting, organizing and donating their finds to The State Museum of Pennsylvania, Section of Archaeology. 1976 “The Real McCoy” SPAAC Speaks. The Society for Pennsylvania Allegheny Chapter No. 1 Newsletter 12:1. Reprinted in The SPA Somerset County Archaeology Society Chapter No. 20 Newsletter 2:3. 1986 McCoy family history letter to the Laurel Messenger, April 21, 1986, c/o The Somerset County Historical Society. On county file (36So56) at Section of Archaeology, The State Museum of Pennsylvania. 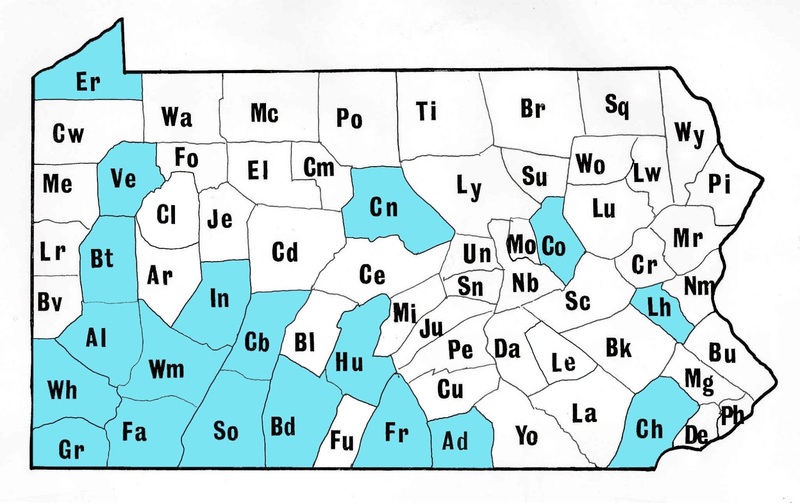 2013 “Somerset County: Birthplace of the Monongahela Culture Concept”, This Week in Pennsylvania History, August 16, 2013. https://twipa.blogspot.com/2013/08/somerset-county.html.